I would prefer keeping SMF captcha + own questions alongside reCaptcha. I may try look into the suggestions given when I have time and report back. For now I have closed down for registrations due to too much spam. MicrosysTools.com - A1 Sitemap Generator, A1 Website Analyzer etc. 2: file_get_contents(): Unable to find the wrapper "https" - did you forget to enable it when you configured PHP? Issue with your PHP " Unable to find the wrapper "https" - did you forget to enable it when you configured PHP?" contact your hosting provider. I set the recaptcha and everything is fine but then an additional security question or two can not be set. So why is this happening? an additional security question or two can not be set. It's been discussed earlier in this thread. I hope this mistake will be fixed. It's good to have a recaptcha system and own questions, that's more security. I hope this mistake will be fixed. You can fix it yourself using the suggestions in the link I found for you. In which file should this code be changed? Why not read the thread? It states the file a few posts prior in the same conversation. Can you update recaptcha 1 to something higher with my forum 1.1.21? Given that 1.1.x is at end of life, you should instead update your own site to 2.0.x, which includes the best anti spam feature - questions. Pretty much this. If you absolutely have to have the newest version of ReCaptcha, you can modify the code to support it. Google has information on their website for this, and I believe a few users have also briefly discussed it in this topic. I know, I have to migrate to 2. But the issue is the urgency to cut these spambots, I have more than 200 per week, with actual configuratiom ... and I have to go to 'manual'. I'm eating all the resources of my time spent for maintenance. I have to stop him right now! yup.... and migrating to 2.0.x with the questions feature and other anti-spam mods will solve your problems in one fell swoop as well as probably fixing a half doizen other issues that you didn't even know you had. 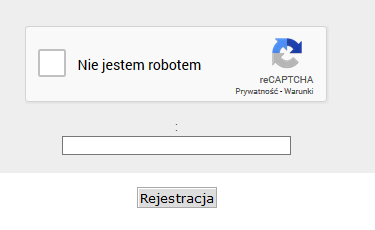 Hey i installed the reCAPTCHA 2.0.0 but i have a problem with it, i enabled it from settings and wrote two (public and private keys) but it still doesn't work. 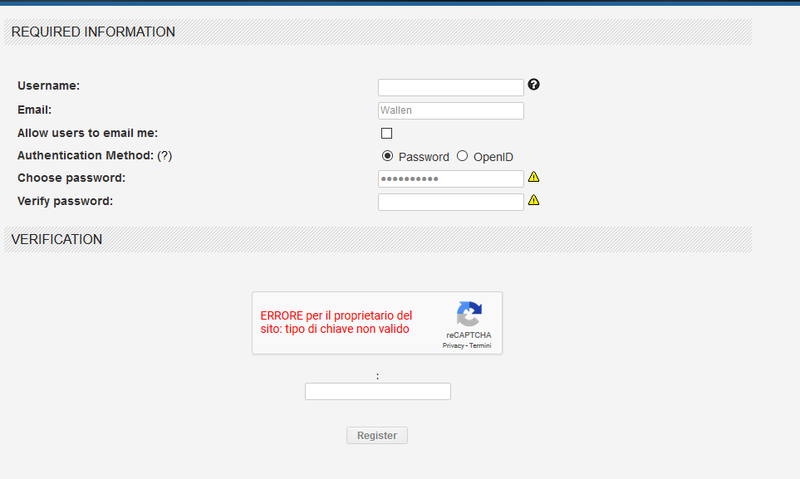 It says "Error for webmaster, the keys are incorrect." but i took them from the official website. So what's going on? theres not too much in documentations. You need to use new keys specifically for the new versions of ReCaptcha. You can't use the ReCaptcha v1 keys with ReCaptcha v2 or v3. 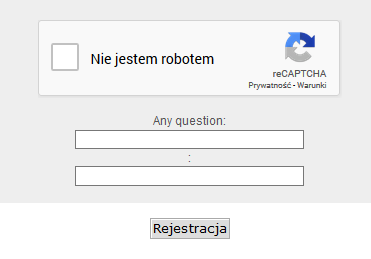 Go to https://www.google.com/recaptcha/admin and scroll down to "Register a new site". Choose your desired version you plan to run, and create new keys for the mod. .... and not have to do an upgrade in a short time. I use the latest repo version of 2.1 and have had no problems, however that copy is by no means ready for release. Moving to a pre-release version is at your own risk, and it even says in several places that you should not use it on a live site. Will you have problems? Maybe, maybe not. Is it worth the risk? Only you can decide that. In your case, if you are upgrading from 1.x, I would personally hold off, as you are trying to jump across several major versions to something that isn't even done yet, so there is a lot of potential for problems there. Your best bet is to make backups and then upgrade to 2.0.x. Then you can just wait for the final release of 2.1 and upgrade to it with less risk of destroying your entire forum.